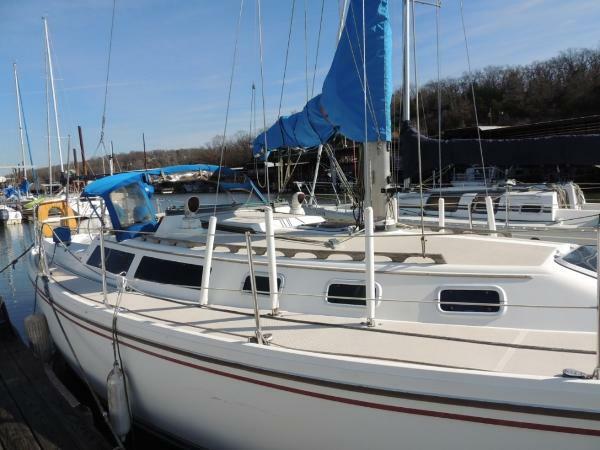 This 1987 Catalina is in nice shape. 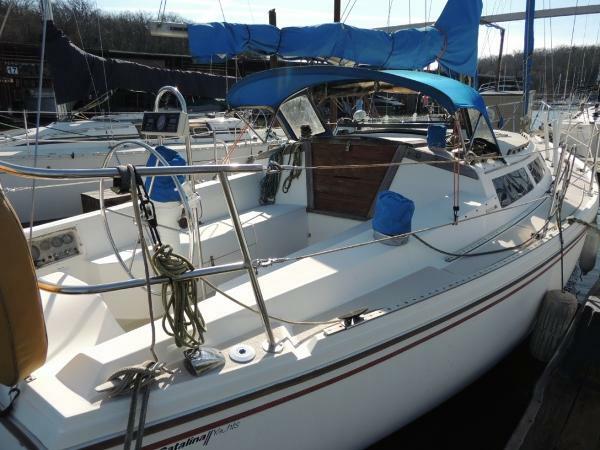 She has a great interior layout with 2 private cabins, a large main salon dinette area, and well equipped galley and a wing keel. 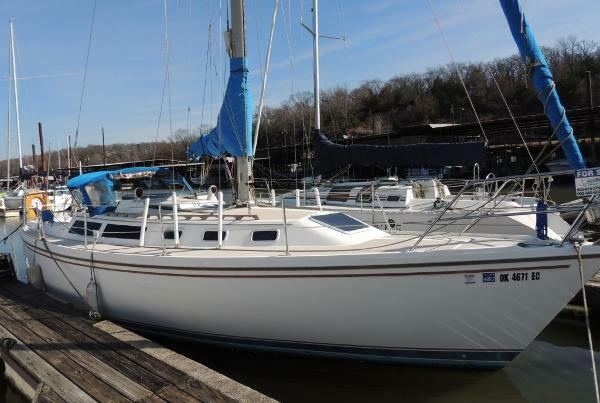 She has a tall rig mast, Schaefer Headsail Furling, and a wing keel.